This close-up of the miner made from rough clay shows the details of his face, with the handlebar mustache and beard. 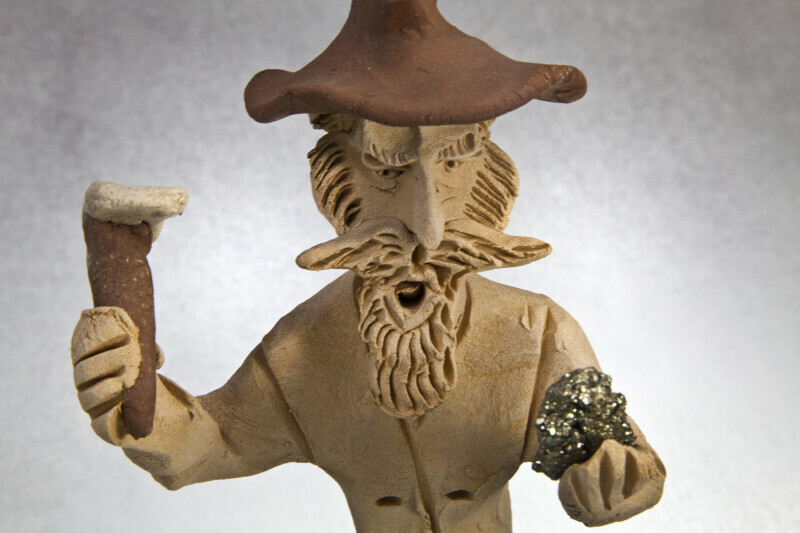 He has a clay hat on his head, and is holding a miner's pick and a piece of pyrite. This figure stands 8 inches (20 cm) tall.